The 133rd AES Convention will herald the introduction of the Project Studio Expo, featuring practical training and an exhibit area focused on leading edge project studio technology. 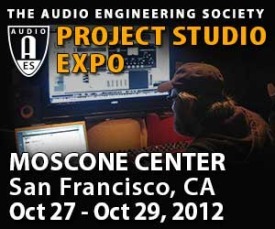 Developed in partnership with Sound On Sound and Craig Anderton, the Project Studio Expo (PSE) brings the latest recording techniques, best practices, and practical tips from leaders in the recording business. Reading the schedule, perhaps they should have called it the Sound On Sound show and being done with it.